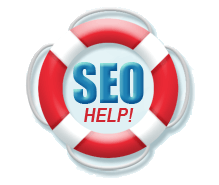 SEO help for North Dakota - Search Engine Optimization Get found! Rebuild your website – A major ranking factor from 2014 forward has to do with the flow and structure of your page. If you page is hard to use google can tell than they will rank you lower for it. Tweak your content – As stated on the previous page, search engines read text, not images. We will place the keywords you want to rank for throughout your website, and make sure they are tagged so that search engines know they are important. Set up your local listings – This is absolutely critical to local businesses! We will correct and add information that will help your business stand out. Google Places, Bing Local Listings, Local Yahoo Directory, Yelp, and Kudzu are just a few of the places that we can setup a local listing for your business. These local listings also offer an inbound link back to your site. Set up Social Network Profiles – Activity on websites like Facebook, Twitter, and LinkedIn will help build your user base and establish some two way dialogue. In some cases we may pull information directly from your social media account into the site automatically. ** If you are in a competitive market like online sales we will need to monitor your current site for awhile before we can start making changes. Most of the time our new sites will out preform your competitors simply because we build the sites with SEO in mind and we check our sites with tools to make sure that they are compliant and well built in the eyes of the search engines.